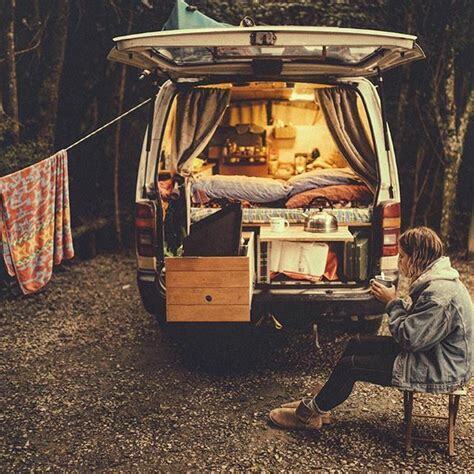 If you ever lived in the same town or state your entire life but want to check out new places to reside, try converting a van or vehicle into a home on wheels to check out the beautiful destinations around the country and explore towns that strike your interest. Interior design doesn’t have to just be for your home or business but can work for the interior and exterior design of your vehicle as well. I’m planning to start my journey around the country to check out some of the beautiful destinations in the United States – you can convert practically any van, suv or even a bus into a mobile home. 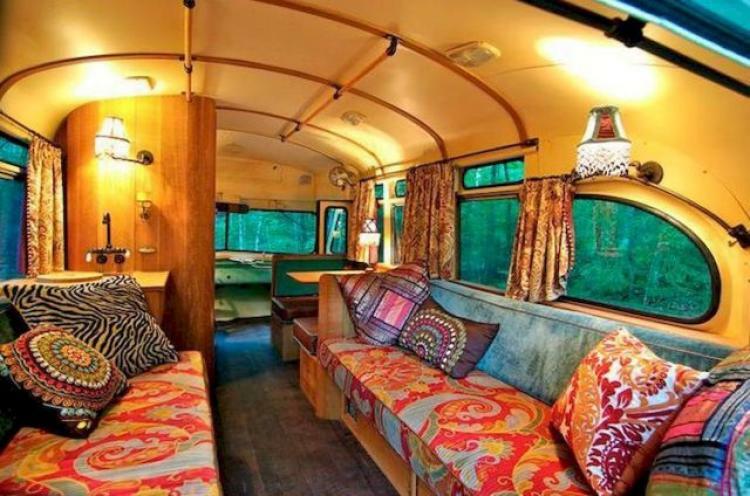 Below are some conversion ideas to get you started on your trip across the country. Most SUV and vans have removable seats or seats that fold underneath. You can easily remove these or you can use the seats as part of the design. For example, using power tools you can remove one of the seats or both and saw off the chairs of the seat keeping the bottom metal attachment. Then, you can use the metal attachment as a base for anything you want to build on top of it such as a table or desk. 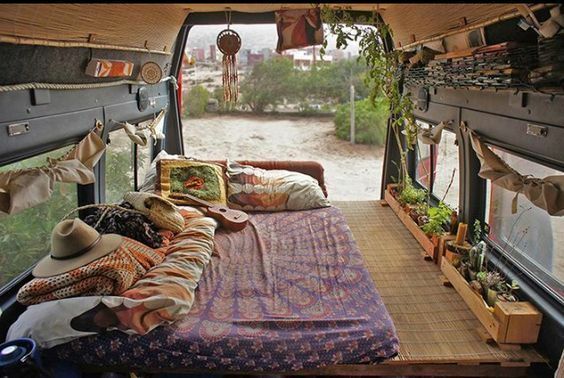 You can remove the seats completely and build wooden structures within the interior such as a bed frame that is alleviated, placing a mattress on top so there is more storage space underneath it. Some even opt to completely refurbish the interior in wood paneling for a cozier feel. 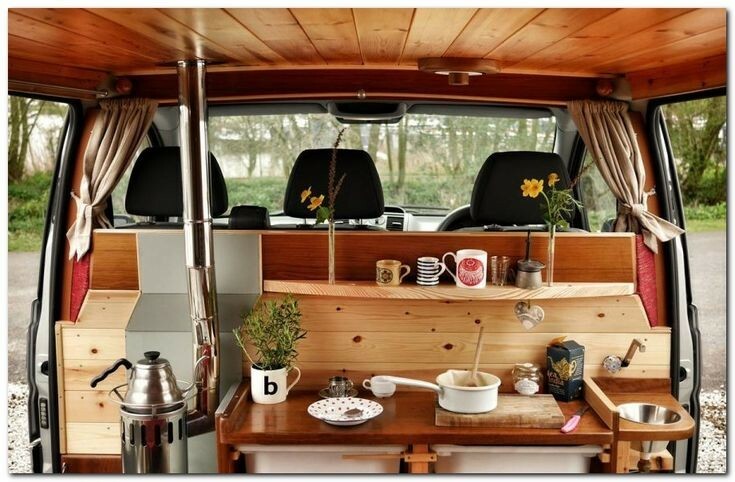 If you don’t use wood paneling, it helps to add curtains to the van. Drill hooks on to the sides of the windows , around the perimeter of the roof. Using cord or rope attach them to the hooks. You can easily make your own curtains using fabric or even a bed sheet. Take measurements and using something as simple as a stapler, staple the curtains so they can easily slide back and forth along the cord. Once you have your necessities for your conversion design, you can begin to add accents to it making it your own using color and other decorations.